It was good to see the containers coming out of the High Street yesterday. There is a long way to go, but I suppose it is progress of sorts. Some of the retailers further east had a tough day yesterday because traffic, not even pedestrians, couldn’t get through as I found trying to get to my fortnightly interview with Compass 104.9FM. 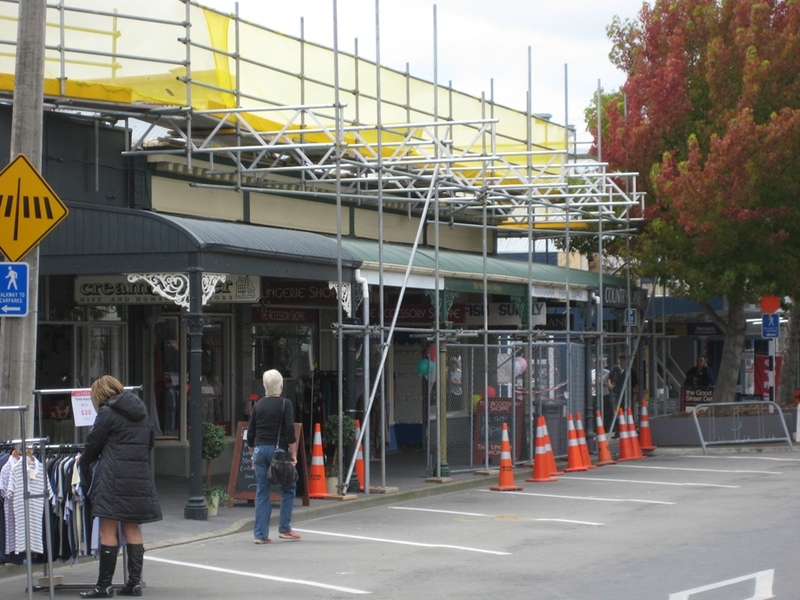 Parapets being removed in High Street, Rangiora. The shops underneath have remained open - like most shops in the central area. In this case, the street is being made safer through the actions of the building owners. The shops concerned are Country Lane, Rangiora Fish Supply, The Accessory Shop and Cream & Clover. For those who are wondering, the Farmers building will require more detailed engineering assessment. This will occur in a few weeks. With the closure of the Pulley’s building, several businesses have relocated. Jaks is now over the road and upstairs sharing with Essence. House of Travel has moved upstairs in the Gables Arcade and Ross McMillan Farm Tours is in with Compass FM, upstairs behind the Lotto Shop. Compass FM is About to Launch!!! Queen’s Birthday, Monday 6 June! You can hear it now on 104.9, broadcasting 24 hours a day. 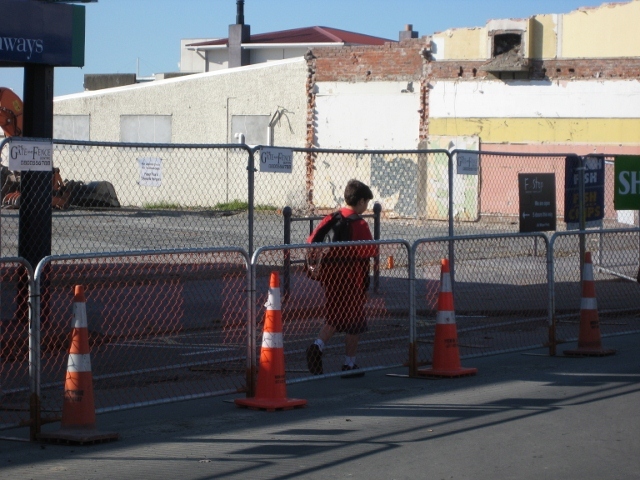 During the day you will hear that we are hosting the Radio School of the Aoraki Polytech – forced out of their Christchurch home by the February earthquake. Compass FM is North Canterbury’s new Community Access radio station, broadcasting from Kaiapoi to Hanmer. Wouldn’t it have been great …? … if the North Canterbury radio station had been functioning on 4 September? 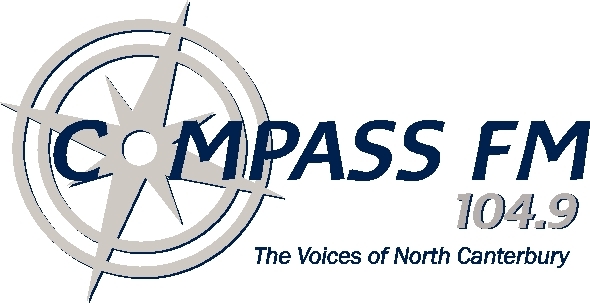 Compass FM is trying to raise the last bit of funding it needs – but in the current economic climate, it is not easy. Compass FM, North Canterbury’s long hoped-for Community Access radio station is holding an open day on Saturday 31 August from midday to 3.00pm. The station has studios in Rangiora’s High Street, upstairs in the Manchester Unity Building behind the Lotto Shop. Visitors will have the opportunity to record station announcements that will be used during the station’s test transmissions. Currently the station is able to transmit using a lower power transmitter that reaches about 10km from Rangiora. Only music is being broadcast at present, but when the station is operating on full-power from a transmitter to be located on Mount Grey, it will be a full community-access station offering time to any and all of North Canterbury’s huge number of community groups. New North Canterbury Radio Station Announces Its Name!